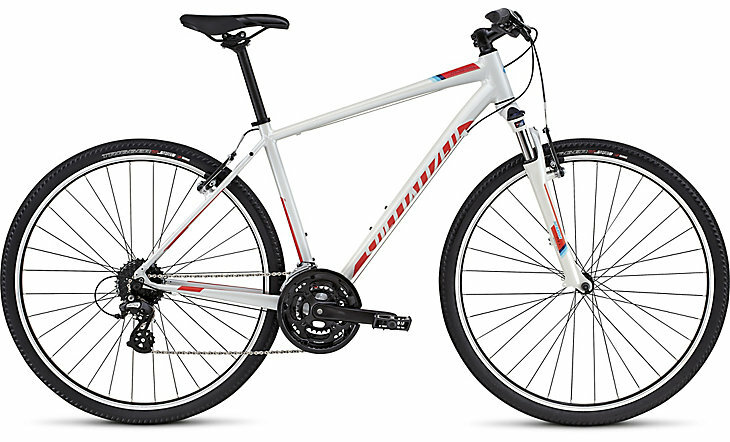 Specialized Crosstrail, this trekking & sport bike is a high quality light bike with soft saddle, front-suspension and back carrier. Perfect for all terrains. These bikes includes racks on the back. Panniers are also available!. Bikes provided with 2 bottle holders, repair kit which includes a pump, spare inner tube, parch kit & tire leavers & multi-allen keys. Locks are also included! Pedals available: Shimano SPD , SPD-SL, Look Keo, Normal pedals, Flat pedals with straps.